and trend of a tradeable security. compared to conventional trend-following techniques. Start Profiting From These Trends Now! Although fractals are very complex, they are made by repeating a simple process. Fractals are mathematical data sets that exhibit common patterns, or symmetry, at every scale. Therefore, a fractal is a never-ending pattern. Fractal patterns are extremely familiar, since nature is full of fractals. For instance: trees, rivers, mountains, clouds, seashells, hurricanes, etc. They’re everywhere, those bright, weird, beautiful shapes called fractals. But what are they, really? On a basic level, fractals are geometric figures just like rectangles, circles and squares, but fractals have special properties that those figures do not have. Fractals are also extremely complex, sometimes infinitely complex, meaning you can zoom in and find the same shapes forever. Of course, most objects in nature aren’t formed of squares or triangles, but of more complicated geometric figures. As stated above, many natural objects – ferns, coastlines, etc. – are in fact shaped like fractals. 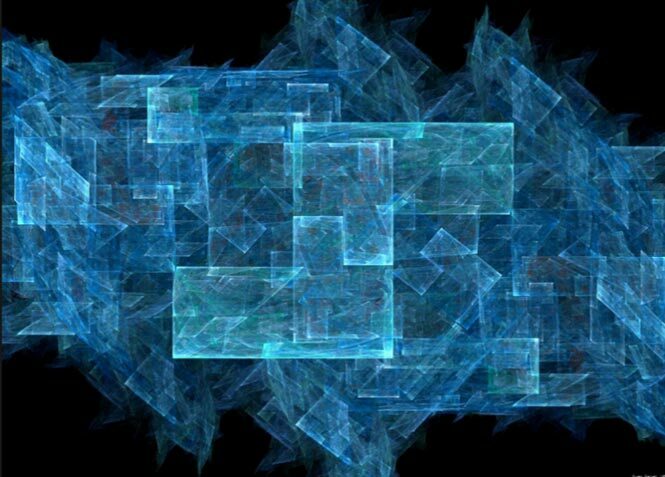 These fractal shapes and their replicated patterns are also discernable in freely traded markets. And it’s those patterns that our BluFractal investment system uses, combined with some impressive mathematical gymnastics, to determine the trend and sustainable direction of a given security. ——Early identification of a trend in price is essential information for nearly every trading and investment approach. Anyone can see the trend when viewing a chart’s past data. But few, if any, can discern a new trend at its beginning. 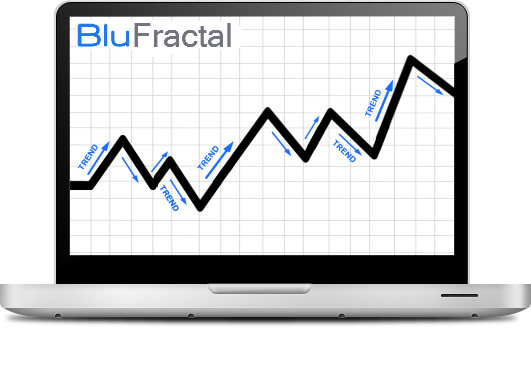 BluFractal uses our proprietary fractal algorithm to confirm a new directional trend as well as when markets are not trending. ——This is a very valuable insight for traders and investors alike. 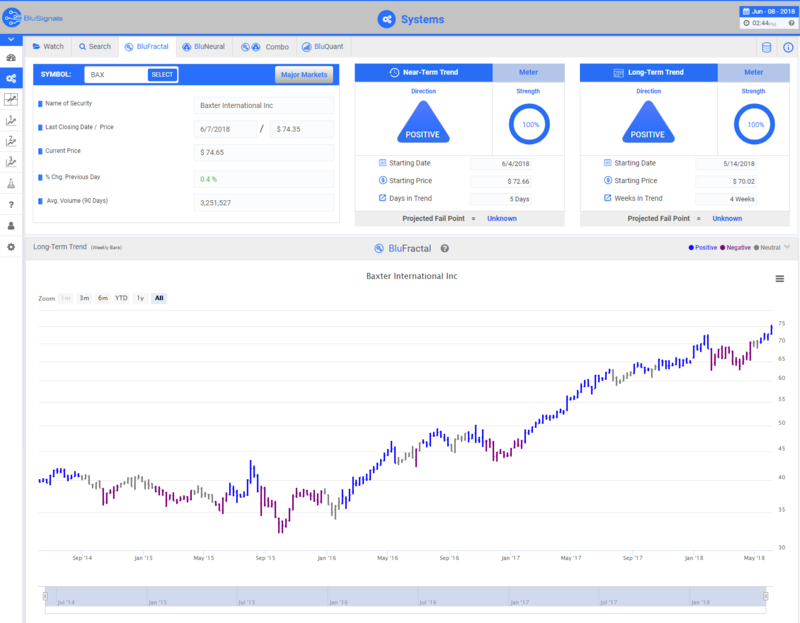 No matter your strategy or method, knowing the prevailing trend in both the near-term and long-term timeframes will significantly improve your returns over time. So, increase your trade accuracy and profits by using BluFractal for stock and ETF trades, option positions, FOREX, futures and binary contracts.